How Far is Golden Key Supreme? “SUPREME” Strategically located at Sontyam on Anandapuram – Pendurthi 8 Lane National Highway, in an extent of Ac 9.63 Acres VUDA Approved Layout. It stands proudly overlooking an extensively laid gated community that offer breathtaking views of spectacular surroundings. With the premium facilities of The Supreme where all the major amenities are a stone’s throw away. This property offers the ultimate in luxury, comfort and appreciation. The plots at Supreme that comes in different sizes 90,167, 200 is an ideal starting point for a wise investment. It doesn't matter if you intend to build your own dream house or consider it as an investment; remember the plots at the supreme are an open-armed indulgence, a passionate gift that you can pass on to your generations. 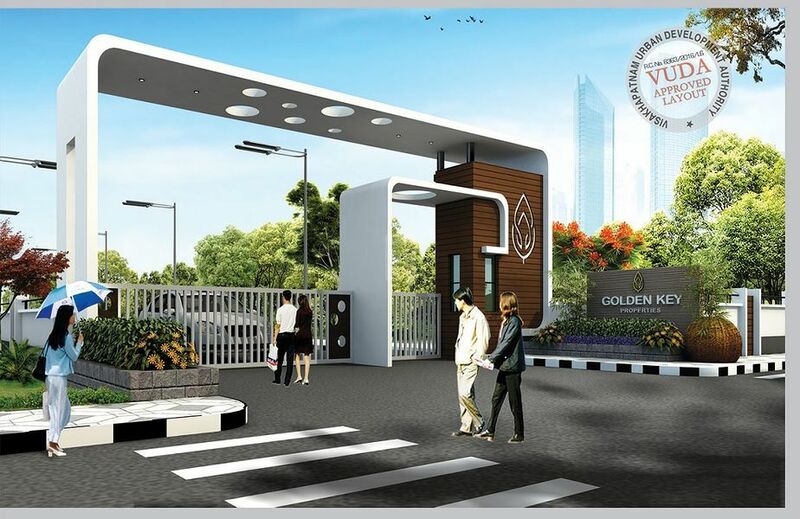 GOLDEN KEY PROPERTIES – is trustworthy Real Estate Company redefining standard of living through innovative layouts at strategic locations. We distinctively differentiate ourselves through our unvarying focus on 3 core values - Customer Centricity, Quality and Transparency, The Company is engaged in the development and sale of affordable housing Plots and Villas with the emphasis on quality, affordability and eco-friendly service. We launch every project with crystal clear title and promptly complies with all relevant regulatory /statutory norms to ensure a hassle free property for buyers. The Company takes extreme care and all possible precautions when purchasing land for a project to ensure that the property is free from encumbrance and is a 100% safe investment with scope for capital appreciation. Golden key run by a set of experience Professionals and thrives on achieving its ambitious growth plans. We firmly believe that customer delight is our proudest outcome not only in the environment we create around them, but also in the ready and committed service we provide.